Ajar Technology interconnects people and their worlds through smart tech. Our solutions include control room environments, large format digital media display, physical security, cyber security as well as smart building and home automation. Partnering with best-in-class vendors and the end user, our solutions portfolio continues to evolve as clients transform business processes with digital technology. In the fast moving world of smart tech we believe in offering an end-to-end solution, from innovation and design, all the way to project handover. Our expertise is reflected by our family of sub-brands. Protect, Control, Smart, Media, Design and Innovate communicate what we do in the provision of tech solutions: from cyber and physical security to control room environments; from digital transformation to display media; from smart building automation to turnkey consultancy and design. Systems automation for the property industry. Protect your people, your data and your assets. Award-winning, specialist tech system design. Integrated systems for control rooms and critical big data. 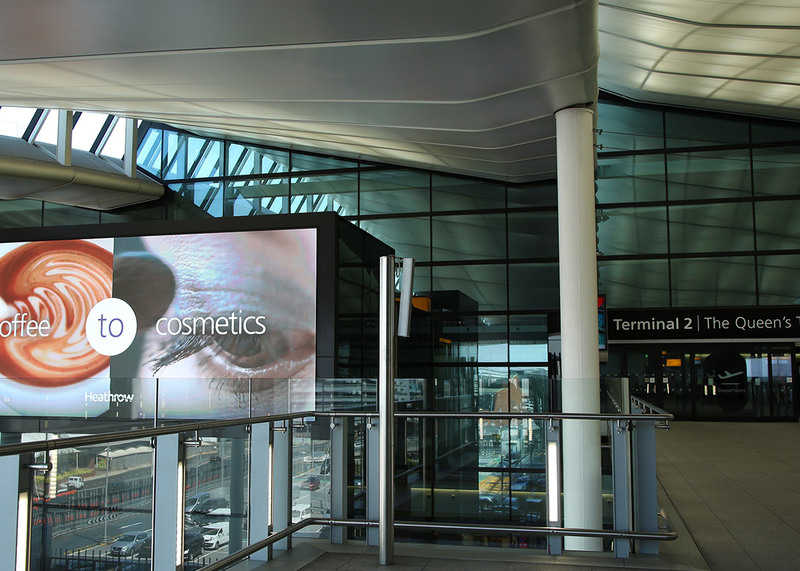 Large format, signposting, display and security media. Agile and cutting edge solutions to complex tech requirements. ”The Heathrow Control Centre (APOC) will be transformational for how we work. I'm delighted it is now operational and we are bringing everyone together like this. Ajar Technology has 12 years’ track record servicing the tech needs of the public and bluelight sectors. Cutting edge system design and integration across the aviation and transport industries and beyond. Smart tech, systems automation and security in the residential and commercial property space.